The write-in Activity Books cater for a variety of learning styles, reinforcing and enriching key skills. Updated engaging activities offer even more differentiated learning opportunities. CAPITOLO 2 Mi piace la scuola! CAPITOLO 3 Che famiglia simpatico! CAPITOLO 4 Ti piacciono gli animali? CAPITOLO 5 Cosa fai durante il weekend? CAPITOLO 6 Dove abiti? Che lingue parli? CAPITOLO 7 Quale mezzo prendiamo? 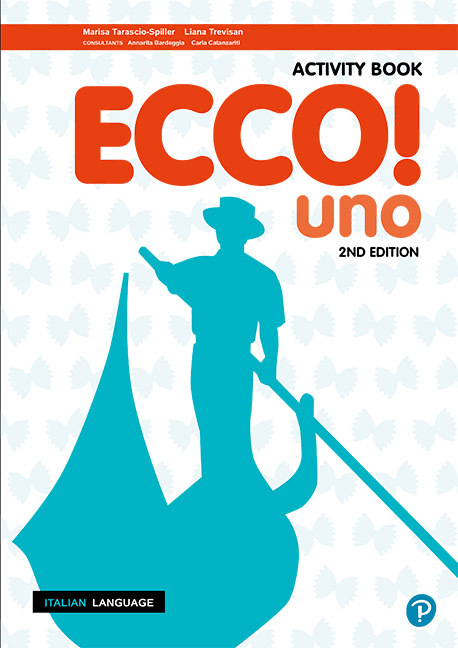 Visit the Ecco! landing page for the latest series information, download sample pages and request an inspection copy.